Image 1 of 6. Click to view fullscreen. Our comfortably furnished rooms feature a seating area, flat screen TV and all have a bathroom with shower, some with bathtub. 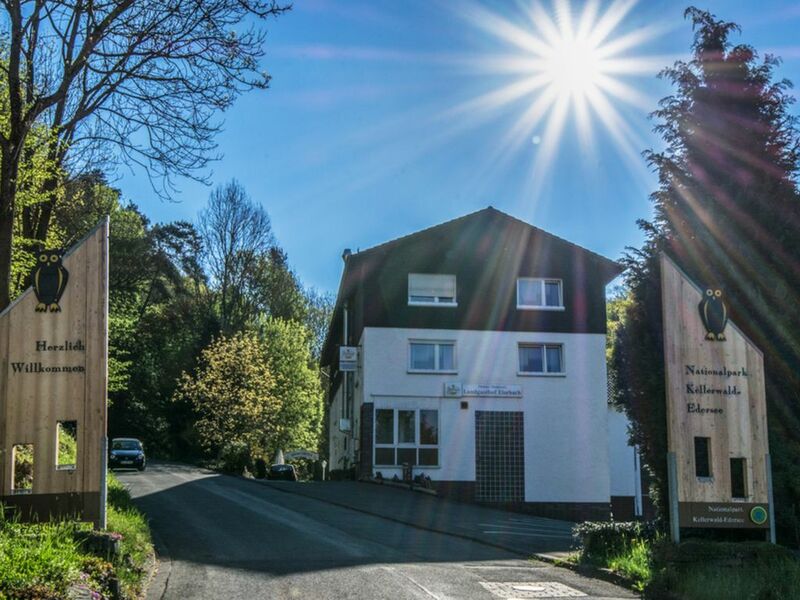 Total beds: 30 Our family owned country inn at the entrance to the National Park Kellerwald has directly 30 beds, divided into 9 double rooms, 8 single rooms and 1 family room. Local dishes are served at the restaurant, which seats 120 people. On one of the two outdoor terraces there is a cold beer or a cocktail overlooking the cellar forest to enjoy. Whether for a short visit or a longer stay, we look forward to seeing you. Please note that we have our rest day on Mondays. This property doesn't have any reviews yet. Located directly on the Accessibility to Urwaldsteig and only 2 km to the Eder cycle path, ideal for walking or cycling tours.